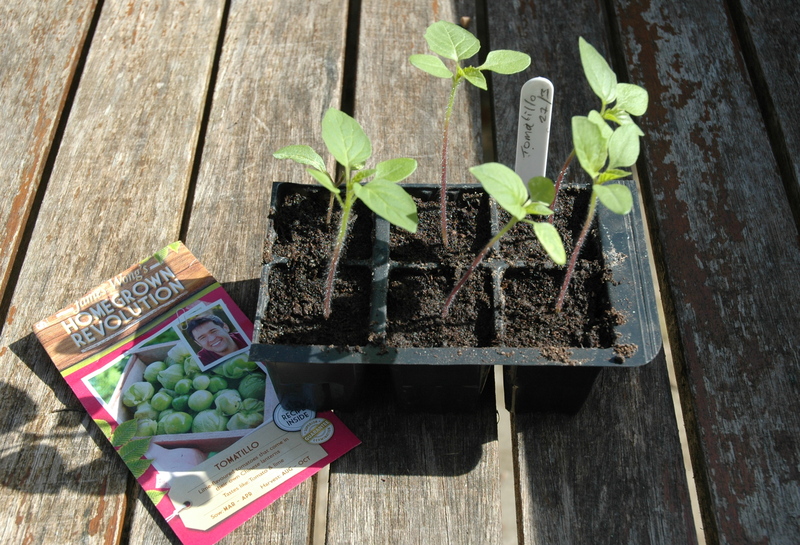 Last year I had some great results growing cucamelon which were seeds from the James Wong’s Homegrown Revolution seed collection, so I thought I would try some more of his unusual seeds this year. This is a first for me – growing Tomatillo. I sowed the seeds in individual seed pods using John Innes seed compost and popped them in a heated propagator in the greenhouse. As you can see, the seeds all germinated nicely, however, I suspect I was a little slow in getting them out of the propagator and into more natural light. They have shot a little tall, searching out more light, than I would have liked. My plan is to do what I would do with normal tomatoes and plant them deep when I plant them on. Hi Carol. I agree, tomatillos are wonderful. I would love to hear more about what you do with them.